Problem: Genossenschaft Migros Aare had inconsistent design throughout their internal communications for their 12,000 employees. 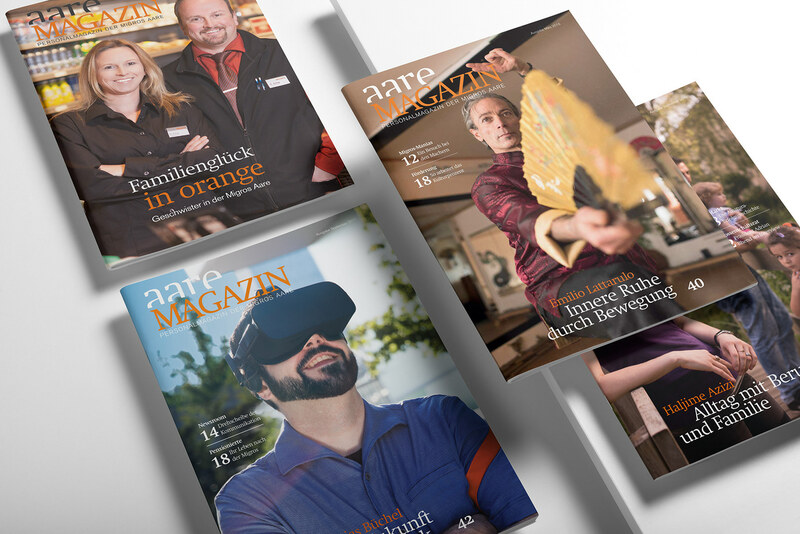 Solution: A redesign of their quarterly aareMAGAZIN and monthly newsletter aareINFO, alongside the visual concept for the accompanying mobile app. 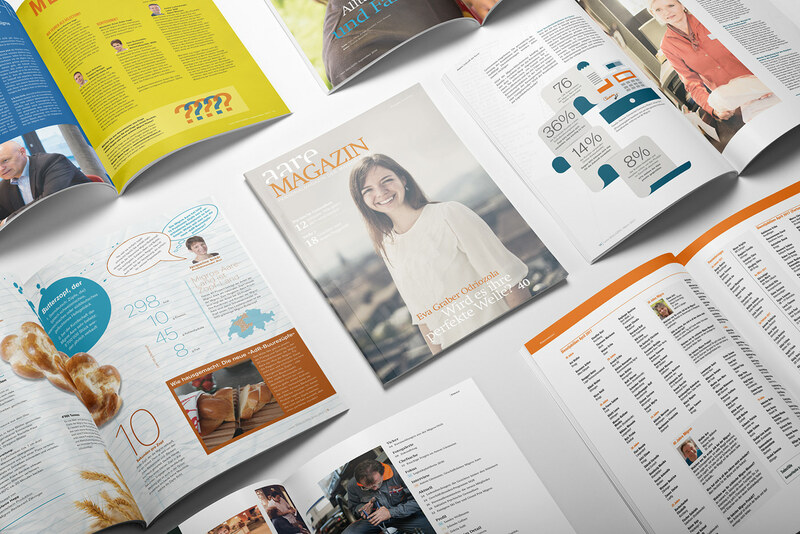 All issues feature beautiful typography and large and appealing imagery that is inviting to the reader. 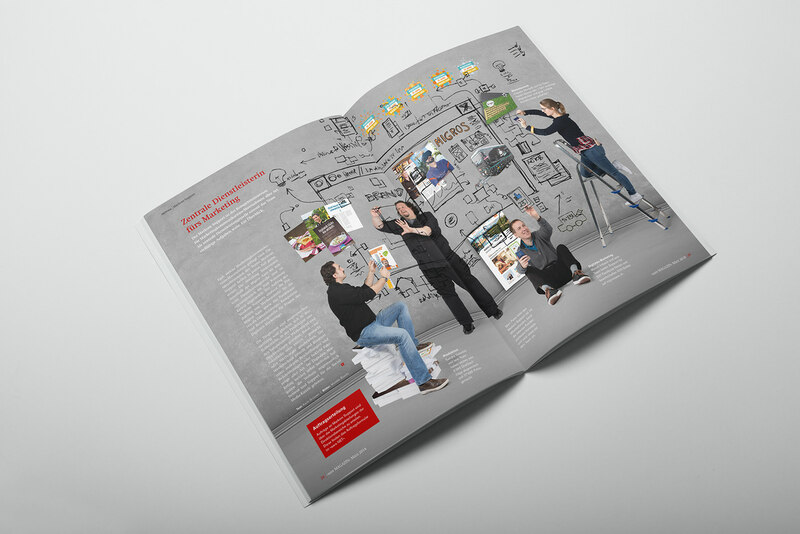 The clean layout, built on a elaborate, flexible 8, 3 and 2-column grid and the minutely laid-out content clearly references the Swiss design background of on-IDLE's designers. 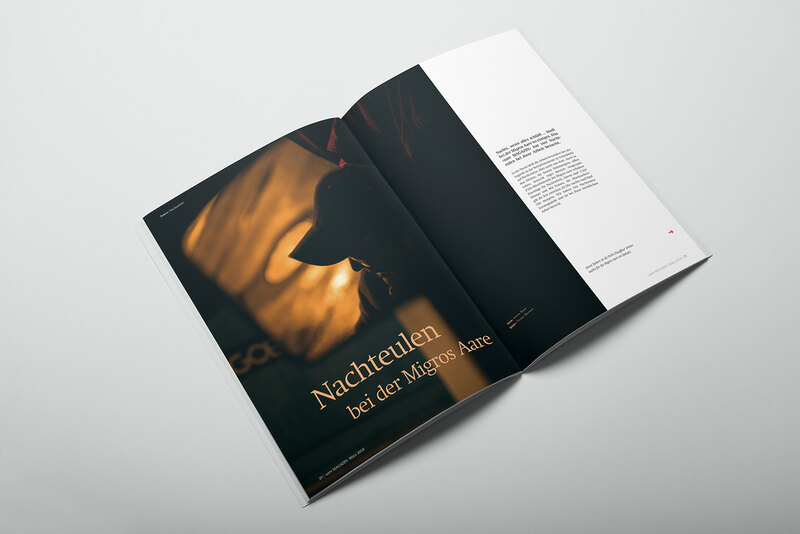 Silver Feather at the Swiss Internal Communications Association (SVIK) best internal communications magazine. 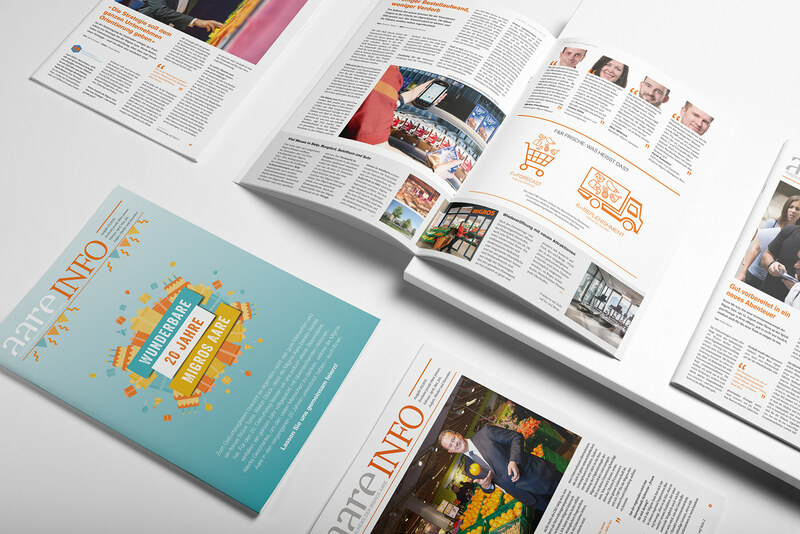 Bronze Feather for concept, newsletter & mobile app.